I loved it. Can't wait to read more from this author. 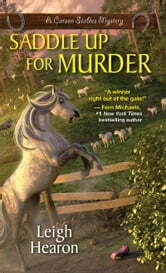 Saddle Up for Murder by Leigh Hearon is the second book in A Caron Stables Mystery series. Annie Carson owns Carson Stables in Washington. Annie is at home when she notices a young woman coming up the drive. Ashley Lawton is looking for a job. Unfortunately, Annie cannot afford help at this time. The next day Annie goes to check on her hay barn and finds Ashley hanging from the rafters. Who would kill this young woman? Annie has recently discovered a camping site in her woods. Could Ashely have been camping out? Annie discovers that Ashley was also involved with Eloise Carr who recently passed away. There are questions being raised and Annie is out seeking answers. It does not help that she has to talk with her half-sister, Lavender. Annie would rather keep her distance from Lavender, but Annie will do what she must for her investigation. Join Annie on her latest adventure in Saddle Up for Murder. Saddle Up for Murder was disappointing for me. The novel was more about the day in the life of Annie Carson. I wanted more mystery, less mucking out of the horse’s stalls. The mystery was uncomplicated and easy to solve. The books pace was slow and I had a hard time liking Annie in this book (she felt she was entitled to information on the case because the body was found on her farm). I give Saddle Up for Murder 3 out of 5 stars. 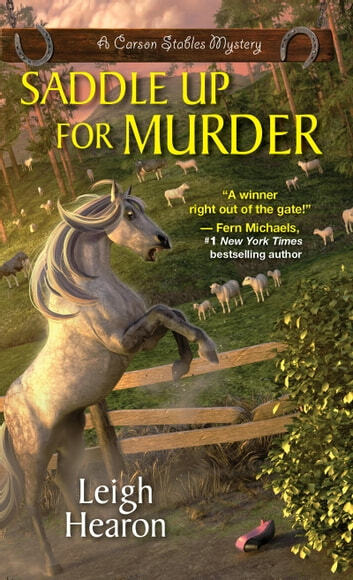 If you are looking for a nice book about life on the farm with emphasis on horses with just a touch of mystery, than you will enjoy Saddle Up for Murder. I hope the author readjusts her focus in the next novel (if there is one).